SEO (search engine optimization) is an ever-evolving strategy that has, over the years, lost its focus in the attempts to generate traffic via better and better rankings through Google, Bing, Yahoo, and the like. 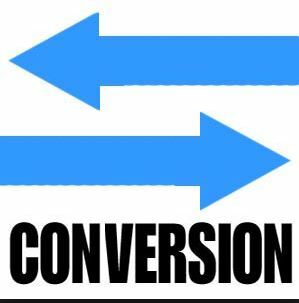 As much as those goals are exceptionally important, it is equally vital not to lose perspective with regards to the final purpose of all of these efforts: conversion. While developing an SEO strategy, conversion optimization must be the integral focus, if you want to generate the greatest amount of success from your efforts. By combining SEO and conversion optimization, you’ll be able to not only drive considerable traffic to your website, but you will do so in a way that the visitors that arrive on the site will actually take action, upon arrival. To do this, you simply need to change the way you look at your strategy and put an effort into place that will leverage both conversion and search engine optimization. The result can be astounding. To ensure that you’re on the right track, start by making certain that you know what you’re talking about. That begins with knowledge of what SEO and conversion optimization actually are. SEO is a strategy in which certain steps are taken so that a website’s design and content will bring about the best possible (unpaid) search results. Everything from the overall appearance to the text, the images, and a number of “behind the scenes” components can be altered in order to generate the best search results on Google, Bing, and others. Conversion optimization involves changes that are made to a website in order to ensure that the visitors who arrive there will be converted into customers before they leave. Whether that means a purchase through a commerce portion of the site, a phone call to make an order or appointment, or encouraging a shopper to head to a brick and mortar store location, the key is to convert traffic into customers. The power of combining those two types of optimization is in being able to enjoy the best of both worlds. First, you will bring the targeted leads onto your website, and then they can see the elements that have been put into place to convert those leads into customers. After all, there isn’t much value in having people visit the website if they don’t do anything once they’re there. Unfortunately, as simple as this may sound, the combination of SEO and conversion optimization is overlooked all too frequently, leading to a considerable missed opportunity. The best decision that can be made for a website would be to grab hold of that opportunity and not let go. So that’s how it works. You bring the traffic through SEO, and then you convert the traffic through conversion optimization. Um. No. You need both. There needs to be a tight-knit alliance between SEO and CRO. Owner of NuSpark Marketing Helps B2B and B2C companies market themselves through integrated tactics, (traditional advertising, internet advertising, SEO, social media), conversions, and sales through lead nurturing/marketing automation.